Memorial Day 2016 was one to remember for me. Tonia, Ruby & I went kayaking at the Mauch Chunk Lake Park by 7 a.m. and spent 2 1/2 glorious hours soaking in the peace and beauty of the area. Yes, we had sporadic showers, but the heavy rain had already passed through the area. The rain actually did us good…it kept away all but a few avid fishermen and kayakers… only the die-hard enthusiasts ventured out early. 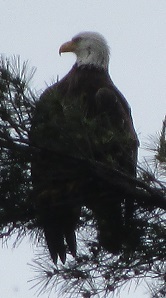 On our way back down the lake, we were graced with the beauty of a bald eagle. How appropriate for Memorial Day, huh? We had the freedom to spend hours on the lake, absorbing the quiet, peaceful and calm sights, sounds and smells of nature at its finest. Freedom ISN’T an illusion. 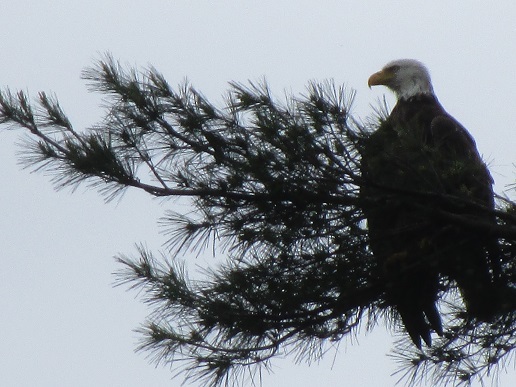 Like the bald eagle, we may not see it, but that doesn’t mean it doesn’t exist. It’s there, behind the scenes supporting the fabric of our environment, making opportunities for us to create lives that are rich, fulfilling and enjoyable. 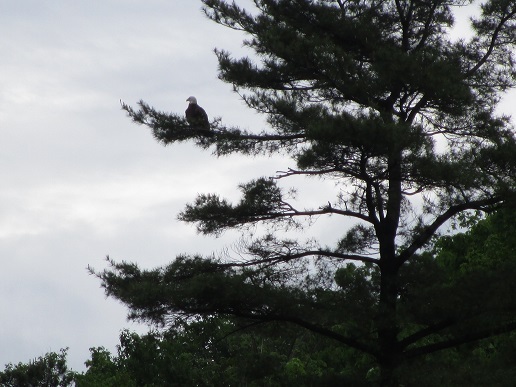 Like the eagle, it’s the silent sentinel…watching, guarding. Unfortunately, few really catch an upfront glimpse and really grasp what that means…until that freedom is taken away. I’d like to share a special thank you to all the ‘eagles’ who have stood guard or stand guard for our freedom, seen or unseen. The silent sentinel protects what many take for granted. Thank you all! This entry was posted in Nature, Spiritual Living and tagged Nature, Outdoors, Spiritual living. Bookmark the permalink.